This version of the controller is the new direction in the development of the stabilizing solutions from the developer. It will replace the previous 8-bit version of the SimpleBGC controller, keeping 100% back-compatibility, but adding the new functionality. - 32-bit MCU — ARM Cortex M4. Effectively calculates the complex tasks for 3-axis stabilization. 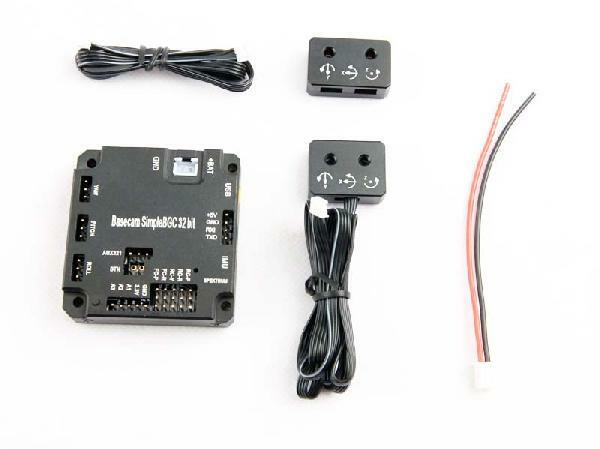 - Allows camera control with the RC or analog joystick. - Supports variety of RC protocols: PWM, Sum-PPM, spektrum and s-bus. - Graphical user interface to manage the settings. Windows / OS X / Linux versions. THIS IS THE LICENSED OFFICIAL VERSION. You will need some understanding of Microsoft windows drivers, software settings and tuning the gimbal software to your liking and to suit your multirotor.